Below is a list of abstract papers written by Narcotics Anonymous World Services in the 1990’s for presentation to global organizations such as the International Federation of Non-Governmental Organizations (IFNGO) and the International Council on Alcoholism and Addiction (ICAA). 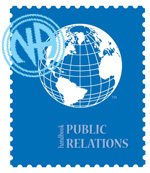 In 1995 the External Affairs Committee of the former World Board of Trustees sought and received approval from the full Board of Trustees to distribute the papers to the NA Fellowship for use in public information activities. We present theses abstracts for their historical value. The “Facts About Narcotics Anonymous” is still used by NA World Services (renamed to “information About NA). It has been edited into a pamphlet that is very useful for reaching professionals. It can be found on their website (2010 edition as of this writing, March 6, 2012). The important updates includes the changing demographics such as the number meetings world-wide, the number of languages the Basic Text has been translated for example. PDF Files: You will be required to have the Abobe Acrobat Reader program to view the files in the PDF format. The program is free to download and simple to install. You can download the Adobe Acrobat Reader for free, directly from the Adobe site. There is no charge for this program as it is provided as a courtesy by Adobe. We do not endorse or support Adobe or any other products and have no affiliation with them or any other entity. Please be sure to read their policies concerning the downloading of their software before using their product.